Garver: Former President Ted Hannah Dies at 80. Former Garver President Ted Hannah 80, of Little Rock, Arkansas, died Saturday, May 9, 2015. Ted spent nearly four decades at Garver, where he served as a great engineer, a great leader, and a great mentor to so many. All employees are indebted to his contribution to this company and the engineering profession as a whole. 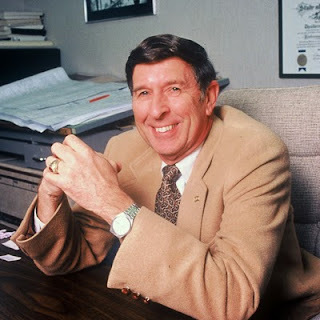 Born April 29, 1935 in Little Rock to James Daniel and Eleanor Borroum Hannah, Ted was a member of Second Presbyterian Church, Downtown Little Rock Kiwanis Club, Pleasant Valley Country Club, Arkansas Academy of Civil Engineering, Little Rock Engineers Club, Little Rock City Beautiful Commission, Little Rock Air Force Base Community Council, and other professional and civic organizations. Ted was an Eagle Scout and graduated from Little Rock High School. He attended the University of Mississippi on a Naval ROTC scholarship, received his Bachelor of Science in Civil Engineering in 1957, and his Master of Science in Engineering from the University of Arkansas in 1967. He was commissioned by the Navy in June 1957 and attended flight school in Pensacola, Florida. After six years of active duty, Ted joined the Naval Reserve, retiring at the rank of captain after completing 300 carrier landings in the A-4. One of the jets he flew is on display at the Arkansas Air & Military Museum at Drake Field in Fayetteville. In 1963, Ted joined Garver, where he served as president from 1993 to 1998. Notable projects he designed and managed include I-440 over the Arkansas River; the South Terminal Interchange; I-49 in Washington County, Arkansas; various transportation projects in Arkansas, Oklahoma, Mississippi, and Tennessee; and projects for several districts of the Army Corps of Engineers as well as the Indiana Port Commission. 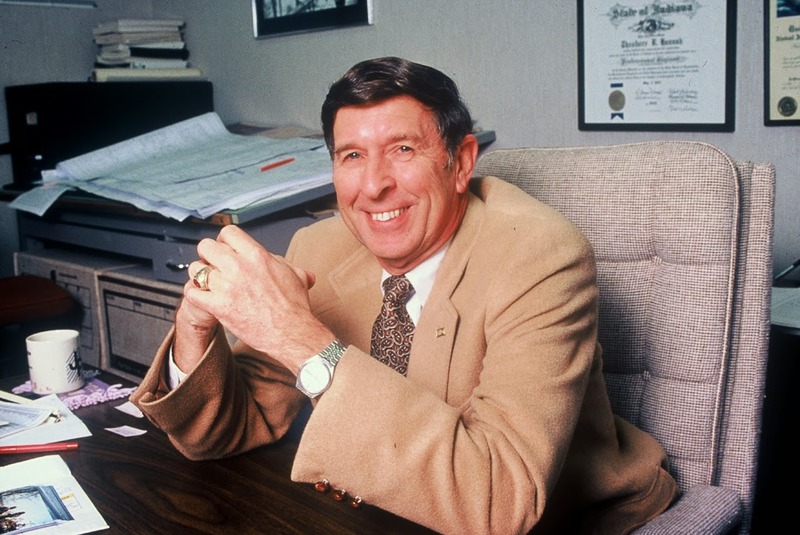 The Arkansas Society of Professional Engineers named him Engineer of the Year in 1994. Ted retired from Garver in 2001. “Even though he was no longer working with us, his spirit has stayed with Garver since his retirement, and it will continue to do so after his death,” said President and CEO Dan Williams. Ted enjoyed golfing, flying, fishing, bird hunting, water and snow skiing, traveling with his wife, Lorraine, and especially hosting his five daughters on an annual trip to Lake Tahoe, California and other locations. Survivors include his wife of 57 years, Lorraine Hannah; children Susan Welch (Joe) of Macon, Georgia, Sharon Hannah of South Pasadena, California; Diane Barton (John) of North Little Rock; Caroline Hannah (Mark Masyga) of New York City, and Mary Hannah (Charlie Toohey) of San Francisco; grandchildren Nicholas and Alexander Toohey and Samuel Masyga; sister Peggy Thorne (David) of Gainesville, Georgia; and a host of other relatives and friends. Ted’s daughter, Diane, manages Garver’s enterprise resource planning platform. Our company’s thoughts and prayers are with her and the rest of Ted’s family. Services will be at Second Presbyterian Church Thursday, May 14 at 2 p.m., followed by a reception at the church. Memorials may be made to Second Presbyterian Church, 600 Pleasant Valley Drive, Little Rock, AR 72227 or Joseph Pfeifer Kiwanis Camp, 5512 Ferndale Cut-off Road, Little Rock, AR 72223. Arrangements by Little Rock Funeral Home. Ted’s online guestbook may be signed at littlerockfuneralhome.com.